Have you tried learning a language with social media? To be honest, I have been posting German exercises and tips on Instagram for a long time, but I hadn’t thought about using it for my own language studies until a few months ago. I cleaned up my feed and created a private account just for improving my Spanish skills. Instagram can be used to learn new words, improve your pronunciation, and get feedback from native speakers. A few minutes a day can help you maintain your current language skills when you are busy and can’t squeeze in, for example, 30 minutes a day. And if you have even more spare time, you can download all the wonderful apps to improve your vocabulary or listening skills. If you have enough space on your phone memory. To help you, I have done some research and found a few lovely Instagram accounts you can add to your list (and of course take notes, watch the video many times, write comments in your target language, find the answer to a quiz) to improve your German skills. Hallo Deutsch is my Instagam account. I’m Carina, I teach German (online and offline) to travelers, business people, and people who want to learn more about Austria and my culture. I am a native German speaker from Austria and I teach German online. On my Instagram account, you can find grammar tips, quizzes, and you will also gain insight into the Austrian culture. DW’s Instagram channel is just one of the many platforms they manage. When scrolling through DW’s feed you will find tons of exercises and they post more than one picture a day. If you are eager to get better, you have lots of materials to improve your German skills. You won’t find a more engaging and dedicated language channel. The person behind that channel is Domi, a language teacher living in the Netherlands. 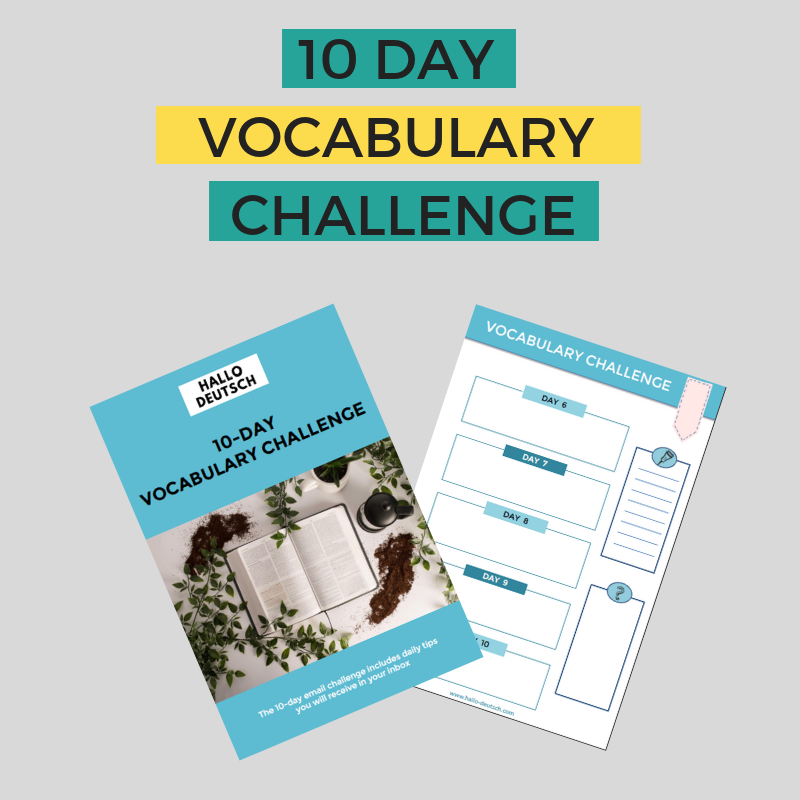 She creates language tips and activities for German and Dutch. Domi has some sort of magic power. She finds the time to answer the question of language learners, communicate with other teachers, and stills finds time to update her language account on a regular basis. While a lot of Instagram channels don’t offer audio or translation, German.toons provides the translation from English to German. and the audio is also available. You can practice and improve your pronunciation in daily mini-sessions. Bonus: the phrases or sentences are very short, which is wonderful for beginners. LerneDeutsch posts a German word every day. All the words are translated into English and you can listen to the pronunciation of each word and repeat it, which can help you a lot if you want to improve your pronunciation. Take a look at this beautiful, organized feed. 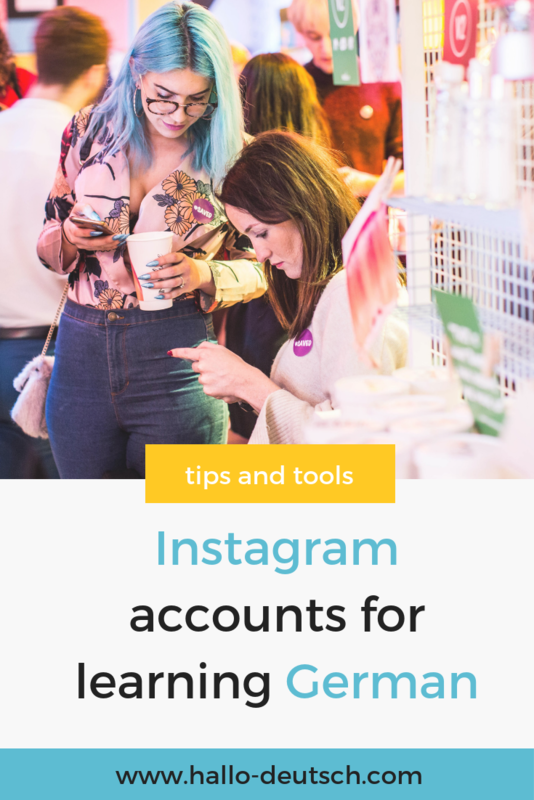 How to find more language accounts on Instagram? You can search for people using the search bar at the top of your screen. You can either search for a full handle if you already know the name of the teacher’s Instagram account, or you can use it to search for keywords like German or Deutsch. This is a way to find a lot of language-related content and accounts. Be very specific in your search, because hashtags that are too broad, will give you way too many results that are not related to your search.